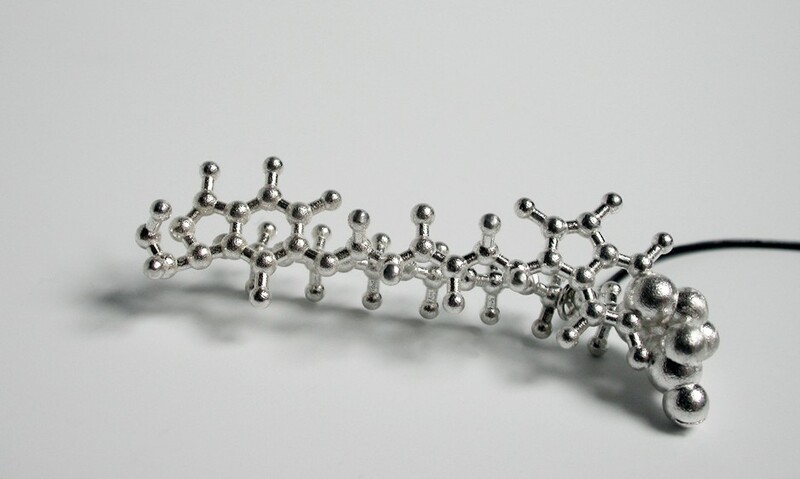 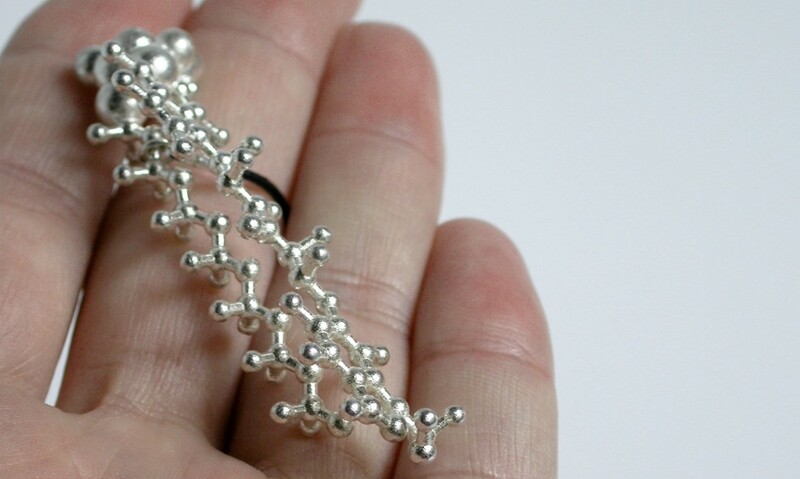 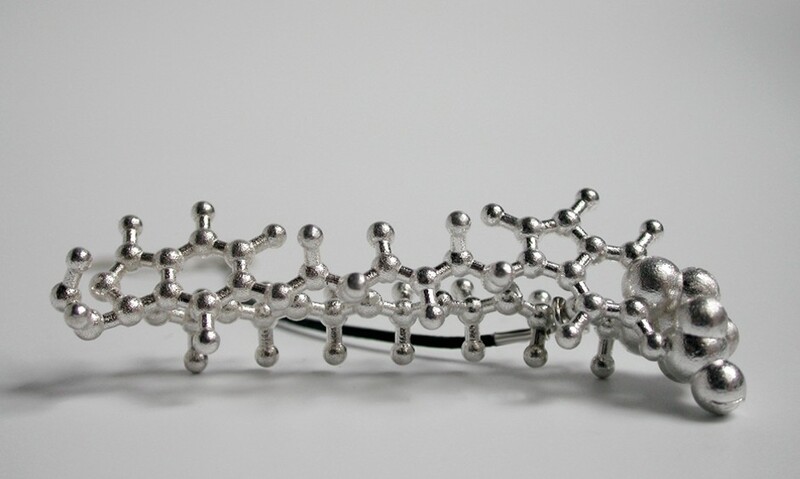 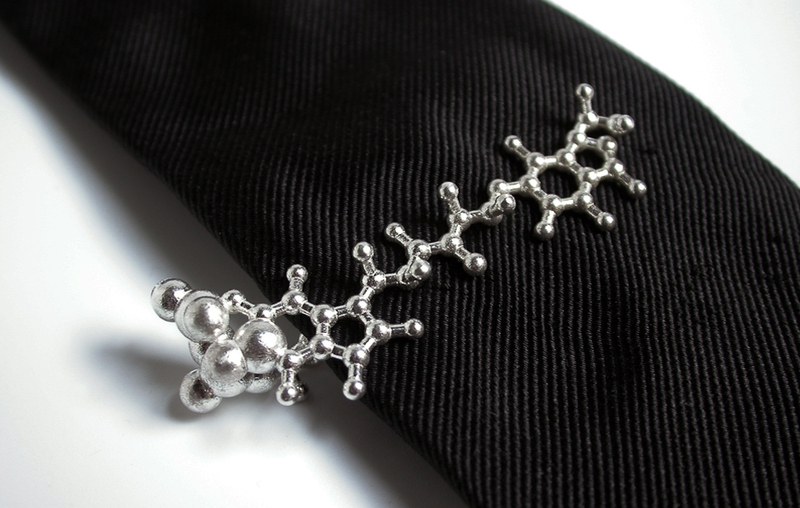 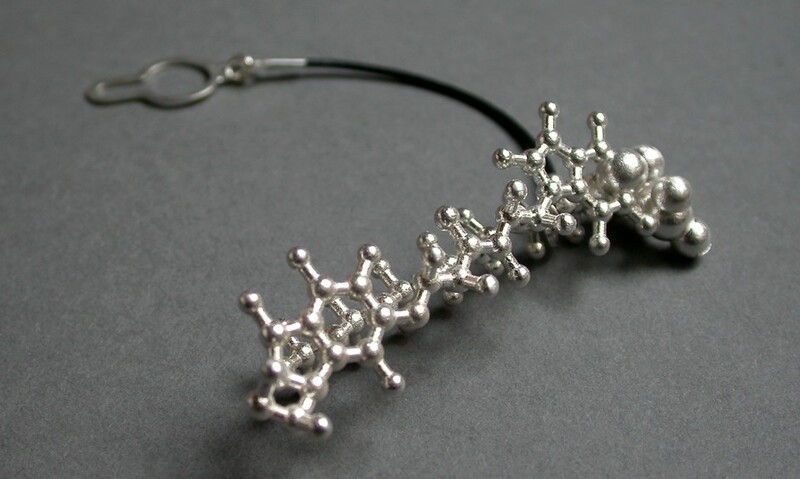 A customized jewel inspired on his research on molecular design, chemical synthesis and dynamic stereochemistry. 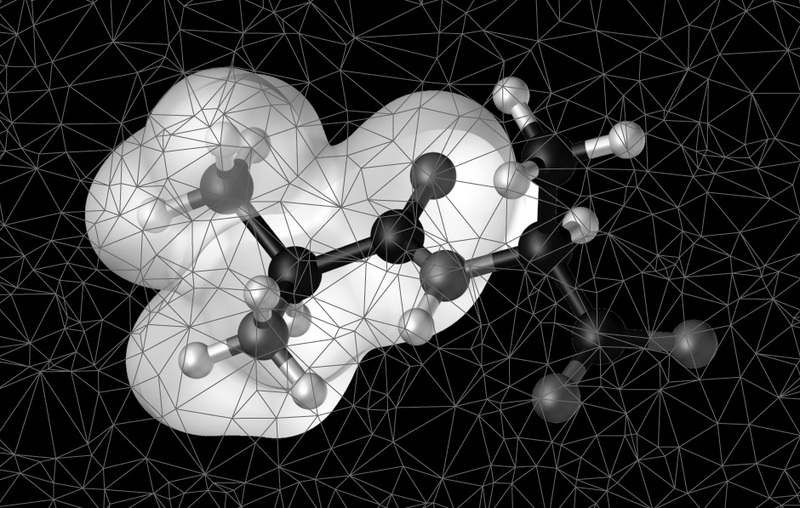 A design combining the two basic models of representing three-dimensional molecular structures, space-filling models and ball-and-stick models. 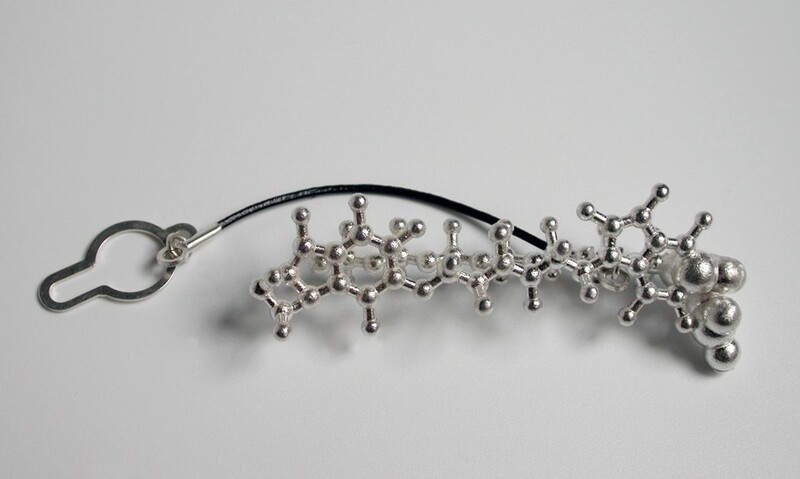 The jewel has some flexibility to fit perfectly to the tie.